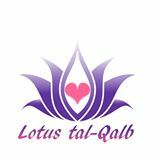 Lotus tal Qalb, Gozo, has now merged with Satori Gozo Centre, Triq tal Masri, Xaghra, Gozo. Email: lotusgozo@gmail.com for information relating to Monday Discussion Evenings, Spiritual Cinema Circle. Tel: Satori Gozo Centre (+356) 2747 0570, if you want to book a therapy. Or if you wish to join the community as a holistic therapist or run a workshop or class from Satori, or volunteer your services.